The CreateUserWizard has a whole bunch of events; some are inherited from the Control (as every custom control does); some are inherited from the Wizard class (since Wizard is the immediate base class for CreateUserWizard); and then there are some CreateUserWizard specific events. The specific events include user creation related events (CreatedUser, CreatingUser, etc. ), sending mail related events (SendingMail, SendingMailError, etc.). The event of our interest is CreatedUser. This is the default event – if you double-click on the CreateUserWizard, this event handler will be created for you. Define what pieces of information (properties of profile) in the web.config file. Of course, here I am assuming that you have defined the membership database already. You would simply define the profile properties you want in web.config file. The format of adding a property is straight-forward – specify the name and type of that property. Each of these properties can have additional attributes like defaultValue and allowAnonymous. After you add the profile properties to the web.config file and compile the site, a ProfileCommon class will be generated for you. As you can see in Listing 2, this class has the profile properties as its own properties. 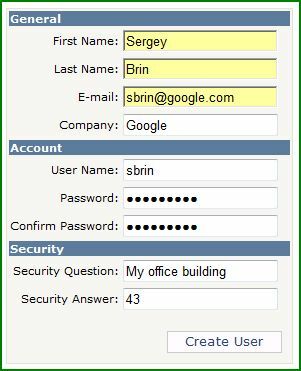 You can get and set the FirstName, LastName, and Company we have defined in the web.config file. When the Create User button in the CreateUserWizard is clicked, a user is created. And if the LoginCreatedUser property of this wizard is set to True, the newly created user is automatically logged in. Once the user is created, the CreatedUser event is fired. The code used in Listing 3 is used to save the profiles that we used for this user. /// Save the profile properties after the user has been created. In listing 3, we would first Create a profile using the UserName. The ProfileCommon class generated for us contains various properties (FirstName, LastName, etc.) that we need. And finally, using the Save() method, simply save these custom properties for the user. The regular membership data (like username, password, etc.) are stored in the aspnet_Users, aspnet_Membership tables. And the profile data (first name, last name, etc.) are stored in the aspnet_Profile table. The data in aspnet_Profile table is stored in an interesting way. All the profile properties are stored in the PropertyNames column and their values are stored in the PropertyValuesString. And the numbers next to the property names are begin and end characters in the PropertyValuesString. Finally, let’s take a look at how aspnet_Profile is connected to other tables. As shown in Figure 3, the aspnet_Profile table is connected to aspnet_Users table via the UserId column. 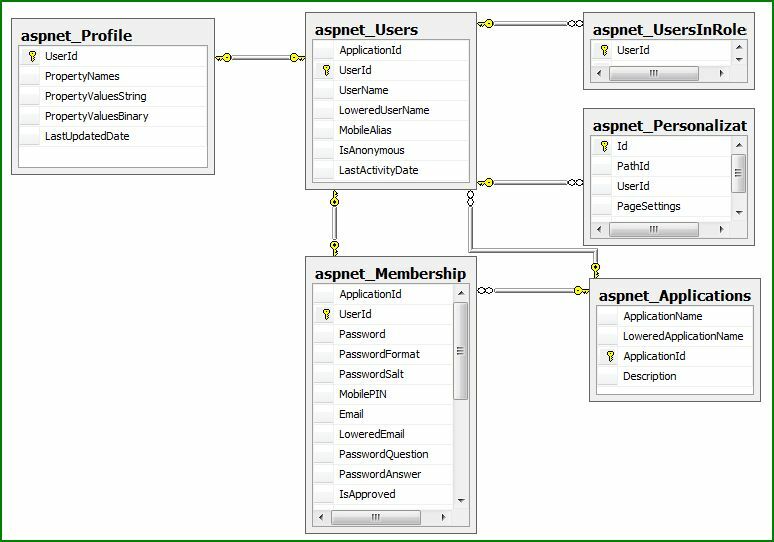 And of course, the aspnet_Users table is connected to a whole bunch of other tables like aspnet_UsersInRole, aspnet_Personalization, aspnet_Membership, and aspnet_Applications. This article covered saving the profile information from the CreateUserWizard. A previous article (Extending Wizard Steps in CreateUserWizard) covered extending the user interface of CreateUserWizard. And finally, in (Adding a Role to a Newly Created User), we will take a look at adding a role to the user.